KEEN. 1017828. LOGANDALE WATERPROOF STEEL TOE BOOT. 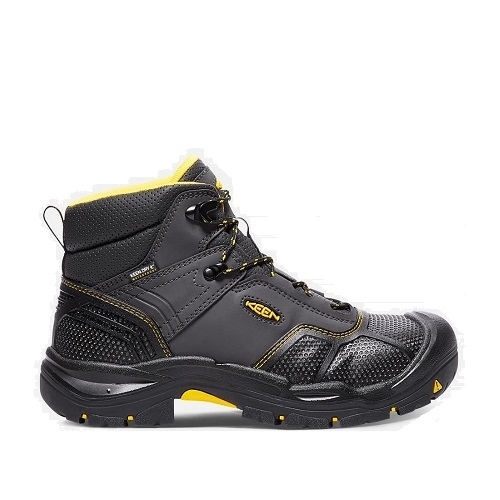 BLACK YELLOW.This steel toe boot was built in Portland OR to withstand anything you throw at it. A moisture-wicking lining keeps you cool while exceptional abrasion resistance keeps them looking good for the long haul.